Already for fifth year the leading organisations such as TalTech, Estonian Association of Information Technology and Telecommunications (ITL), Estonian Electronics Industries Association, Enterprise Estonia (EAS) and numerous flagship technology companies join forces to promote the opportunities emerging from Industry 4.0 framework. The event has a strong track record of bringing together and benefitting manufacturers, ICT vendors, academia and policy makers. 2019 conference will take place at Innovation and Business Centre Mektory on May 29. Please reserve the date in your calendar and stay tuned for more info - follow the conference Facebook page and sign up for newsletters here. Louis grew up in a small coastal town in Australia and attended the University of Newcastle, gaining a first class Honors Degree in Computer Science and worked in the industry as a consultant and trainer for 10 years, specializing in enterprise integration services. Having left the world of IT consultancy behind, Louis now uses his public speaking and communication skills to lead tech focused conferences, combining both his broad technical and entertainment skills to provide a larger than life presence on stage when he hosts. 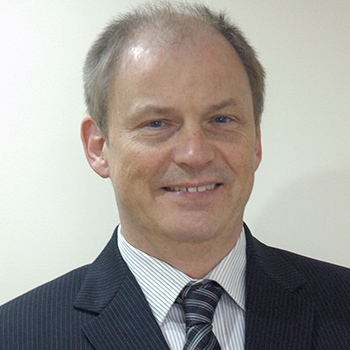 Academician Jaak Aaviksoo was nominated as the Rector of Tallinn University of Technology in September 2015. 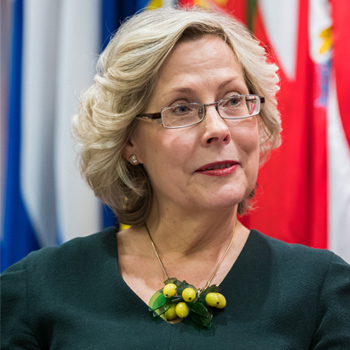 Former roles have included being the Minister of Education and Research and the Minister of Defence of Estonia. 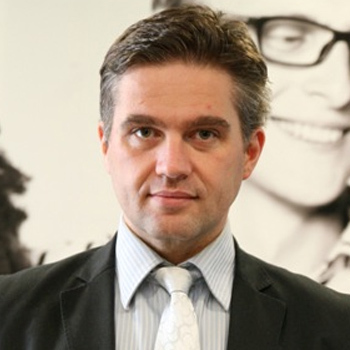 He has also been elected twice as the Rector of Tartu University and serving as EUA Board member. Before becoming the Rector of Tartu University he was Professor of optics and spectroscopy at Tartu University heading the Institute of experimental physics. In 1994 he was elected to the Estonian Academy of Science. Rector Aaviksoo has worked in many foreign institutes as a guest professor: Novosibirsk Institute of Thermal Physics, the Max Planck Institute for Solid State Research in Stuttgart, Osaka University and Paris Diderot University. PANEL DISCUSSION: HOW CAN WE SUPPORT INDUSTRIAL INNOVATION? AI CRUISING DOWN OUR STREETS - AUTONOMOUS VEHICLES ARE ALREADY HERE! 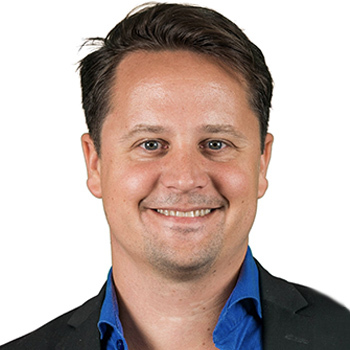 Krister Kalda has MBA in International Business Management and at the moment acquiring Master of Science in Engineering degree in digitalization. Former state economical representative in Nordic countries for over 10 years (stationed in Stockholm), now building bridges between foreign companies/investors and scientists of TalTech. Whereas smart city solutions, e-goverenance, cyber defence, blockchain, AI, IoT, mechanical engineering, autonomous driving and other cross-sectoral developments are the hottest subjects of interest. Mektory as a showroom and meeting place for the university is one of the gates for tech-interested foreign companies and thus presenting the strengths of university, ongoing innovation projects, scientific R&D possibilities and opportunities for foreign companies in terms of tech transfer are part of his everyday responsibilities. 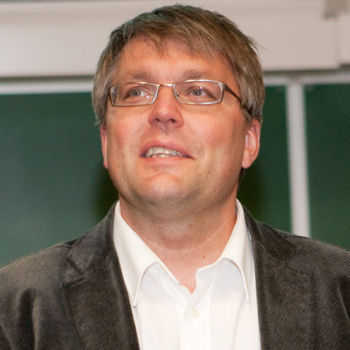 Prof. Jaak Vilo heads the Institute of Computer Science and the Chair of Data Science at University of Tartu, Estonia. He earned his PhD in Computer Science at University of Helsinki, Finland. In 1999-2002 he worked at the European Bioinformatics Institute, UK as one of the pioneers in early gene expression microarray data analytics. His group applies data analysis, machine learning and algorithmic techniques to a broad range of biological and health data and applications. The Institute of Computer Science is the leading IT research unit in Estonia, with two ERC grants and numerous joint research projects with industry. The Chair of Data Science is responsible more broadly for machine learning, big data and various applications. What does Industry 4.0 mean for us in Ericsson Eesti? 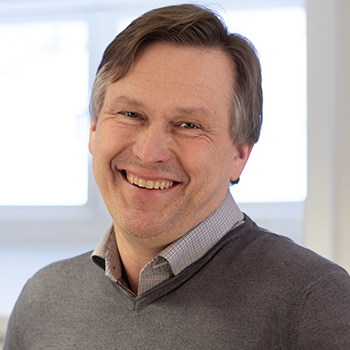 Lars Ottoson is manager of the Ericsson Supply Site in Tallinn, Estonia and also part of the Ericsson Group Function Supply Leadership team. He has a long background in Supply and Production with over 20 years within Ericsson and 9 years for Electrolux. 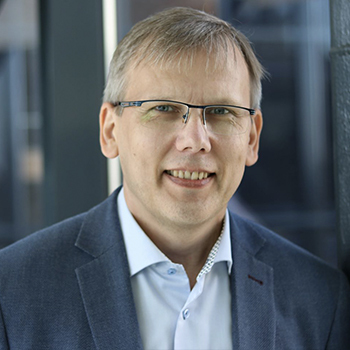 Sirli Männiksaar is Head of Operational Efficiency being responsible for strategy, compliance, business continuity, sustainability, process development and IT within in Ericsson Supply Site Tallinn. She has Product Development degree from TalTech and has worked for Ericsson almost 15 years in different areas and leadership positions. Smart Manufacturing is one of the key strategies for our Factory in Tallinn, Estonia and is shaping the future of the site processes and ecosystem. Erik is responsible for industrialization of product in Ericsson Radio system for the western hemisphere. His team also drives technology development in production technology test development and SW features for manufacturing out of our Factory in Tallinn, Estonia. Currently he and his team are leading some of the new implementations of smart manufacturing for the future. 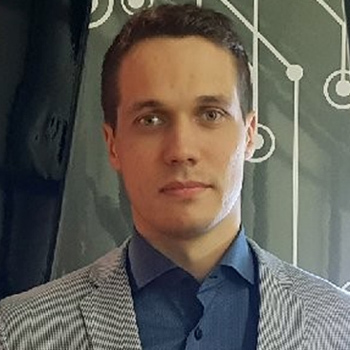 Welix is the IoT specialist and Program Manager at Ericsson Supply Tallinn. Mobile environmental monitoring sensors, indoor positioning, augmented reality and virtualization of production are only a few of the IoT and Smart Manufacturing projects Ericsson is engaged in at the Tallinn Site. 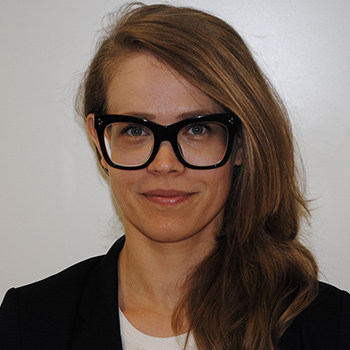 Welix studied Economics at the University of Tartu, and Industrial Engineering and Management at TalTech. He has work experience in finance, as well as engineering. WHY THE IPC CONNECTED FACTORY EXCHANGE STANDARD (CFX) IS CRITICAL FOR SUCCESSFUL INDUSTRY 4.0? Context of data is qualified from data of many processes, aiding live decision-making and process optimization. Working for Aegis Software, provides Michael the opportunity to apply his years of electronics assembly manufacturing experience, to drive both business process and technology solution innovation, that satisfies evolving needs in digital manufacturing, in a way that is value-driven and sustainable. Starting his career with Sony, including eight years working in Japan, Michael has been instrumental in creating and evolving leading software solutions for assembly manufacturing, that meet the most demanding expectations, leading industry forward. Today, Michael is an established thought leader for Industry 4.0 and digital Smart factories, an active contributor to IPC industry standards, including the Connected Factory Exchange (CFX) “plug and play” IIoT standard, and chairs the IPC-1782 manufacturing traceability standard, promoting the complete IPC standards-based digital factory platform. Michael also regularly contributes articles, columns and blogs in several leading industry publications. Manuel studied automation as a student and started working in manufacturing industries from a very young age. His interest in technology led him to Koenigsegg 11 years ago and he has learned continually as he has progressed through the ranks. He started out as a technician in production and soon after, he became a team leader. From there, he started to work with product quality and as a test driver, the goal being to ensure that their cars were of an appropriate standard before they deliver them to customers. Later, he received an opportunity to start working as Production Manager, which he did for 3 years. It was during this time that he pushed the company to take a better advantage of Monitor – the ERP system that they use. That mission continued when he moved to the Purchasing department, learning strategies for procurement and material flows within a manufacturing business. Koenigsegg has enjoyed steady growth over recent years and the organisation has changed a lot as a result of that growth. ERP is more important now than ever, and he has taken on the role as ERP Manager to educate staff and to further develop and integrate the ERP system within our business. Jonas has always had an interest in technology (a lot of racing in go-karts, boats and motor cycles), which made it natural during the years of education to graduate as an engineer. Through the years he has had a number of positions (Production, Research and Development Manager). When he started at Monitor 2004 it was as business consultant and during those years he was involved in a large number of implementations projects in different types of industries. Each project has always given him some new knowledge about how to run a company. Then he was involved in sales for a number of years, which meant that his contact the network increased tremendously, and he had many from that period. Today, as Director of Business Development Monitor Group he’s mainly involved in the development of our foreign subsidiaries and partners, but also works with international coverage of our competitors. How Can We Support Industrial Innovation? AI Cruising Down Our Streets – Autonomous Vehicles Are Already Here! Conference takes place on May 29, 2019 in Innovation and Business Centre Mektory (Raja 15, Tallinn). Day starts with registration and morning coffee at 9:00 and ends at 17:00. The conference is invitational only. For invited guests the participation is free of charge. Invited guests receive a special invitation code in the invitation letter. The participation cost for members and employees of partnering organisations is EUR 249 (excluding VAT). For other interested parties the participation cost is EUR 290 (excluding VAT). Please register for the conference by May 20 using the registration form. Upon successful registration, you will receive a confirmation letter. If you do not receive a confirmation letter, please contact us by email. Participation fee will be fully reimbursed if notified in written before May 20. Also, if you have registered as an invited guest but cannot attend, it is crucial to get your cancellation by email in order to free the seat for others. Due to its international nature and audience, the event will take place in English. We have a selection of hotel offers for conference attendees (see below). Please book your stay early at a special rate directly with the hotel, using the appropriate promotional code. Read here how we process and protect the data you provide. Please contact us by email margot@confent.com with any information request you might have regarding the conference or in case you need to cancel your participation. I’m an employee/my company is a member of the conference organisers/partner organisations. Industry 4.0 in Practice takes place at Innovation and Business Centre Mektory, Raja 15, Tallinn. We have a selection of hotel offers for conference attendees. Please book your stay at a special rate directly with the hotel using the appropriate promotional link or code. We recommend to book the room early as hotels tend to be quite full at the time. 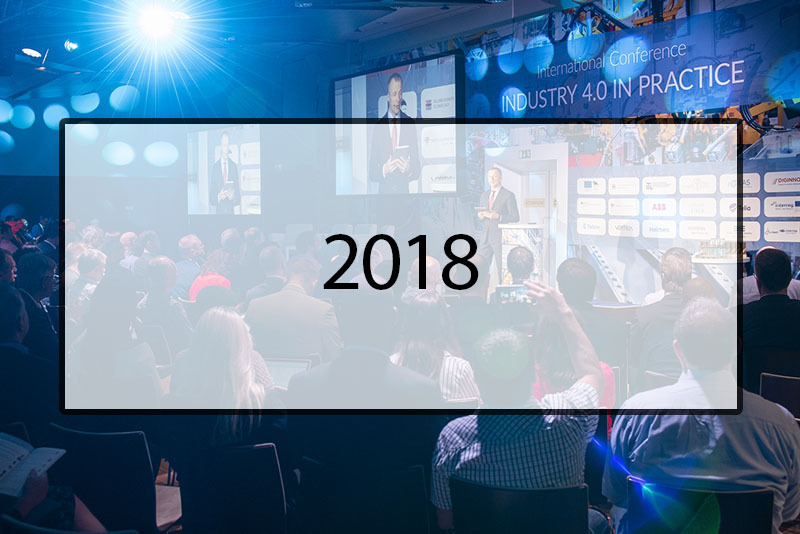 To make sure you will be invited to the next Industry 4.0 in Practice conference, this is the spot to sign up for that. Read here how we process and protect the data you have provided. Please contact us by email margot@confent.com with any information request you might have regarding the conference. EXEX is an innovative conference format that unites knowhow and finances of leading organisations to create a flagship event. In the spirit of sharing economy this enables to bring better and bigger industry events to life with lover cost. 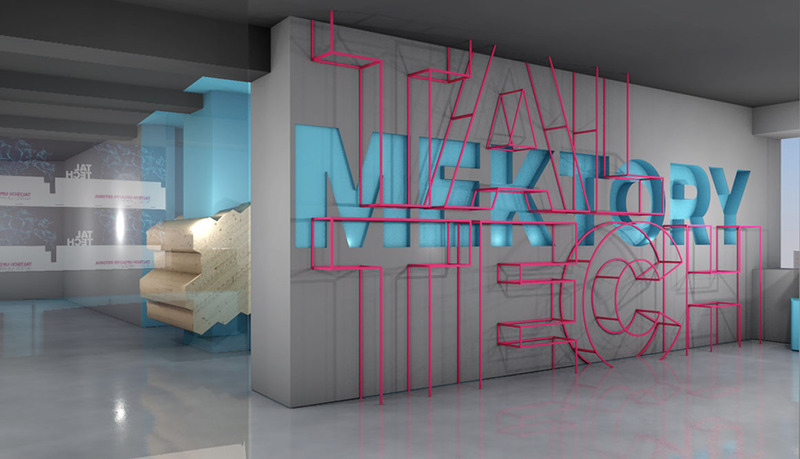 EXEX format is created and managed by conference and marketing company Confent. EXEX events cover topics and industries such as manufacturing, payment solutions, mobility and fleet management, road transport, education technology. 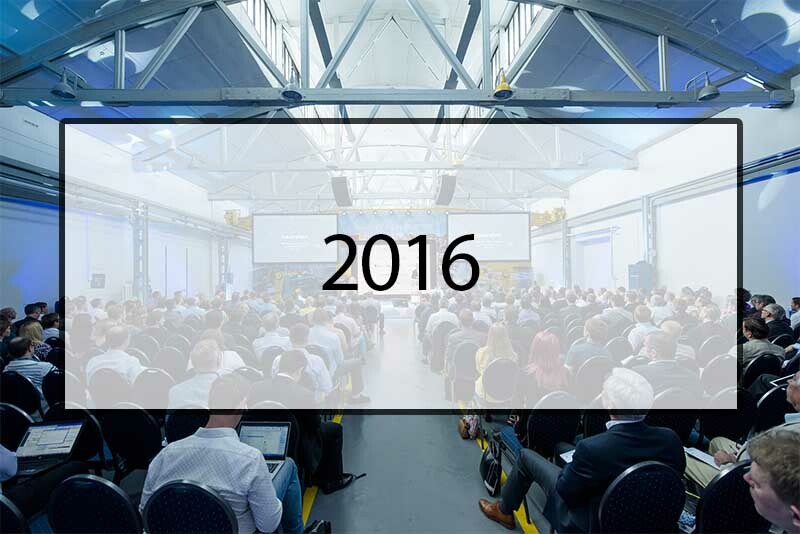 EXEX events take place in Estonia, Latvia and Lithuania. Estonian ICT cluster - your gateway to the e-Estonia powerhouse. We are a collaboration platform for more than 90 enterprises, in Estonia. Cluster is gathering companies that have created most of Estonia’s world-recognized e-governance solutions. We help countries and organizations achieve world-class digital societies. Estonian Electronics Industries Association is a voluntary non-profit organisation that aims to increase competitiveness of Estonian electronics industry. Association’s 50 member companies cover all aspects of electronics value chain from supplies, training and product development to manufacturing and aftersales. Association also governs ESTRONICS – export cluster for smart electronics. Enterprise Estonia (EAS) contributes to the achievement of long-term strategic goals of the Estonian economy. EAS promotes business and regional policy in Estonia and is one of the largest institutions within the national support system for entrepreneurship by providing financial assistance, counselling, cooperation opportunities for foreign investments and training for entrepreneurs, research institutions, the public and non-profit sectors. University of Tartu Institute of Computer Science supports digital transformation of industries through innovation services in the areas where scientific research and R&D contribution is needed. We provide consultations, prototyping, joint R&D projects and high performance computing power in the fields of Data Science, Business Process Management, Cyber Security, Distributed Systems, Cyber-Physical Systems, etc. Founded in 1975, Microsoft (Nasdaq “MSFT”) is the worldwide leader in software, services, devices and solutions that help people and businesses realize their full potential. As of 2003, Microsoft has its local office also in Estonia. About 40% of the world's mobile traffic runs via our networks. Ericsson develops, delivers and manages telecommunication networks by providing hardware, software, and services to provide the full value of connectivity. Our strategy focuses on: enhancing efficiency via digitalization and automation, user experience improvement by boosting and simplifying services and net configuration, increasing turnover via key technologies as IoT (Internet of Things) and 5G. Siemens creates benefits for customers and society through our passion for technology, the power of innovation and entrepreneurial spirit. Electrification, automation and digitalization from Siemens help improve quality of life and create lasting value for future generations. Together with our customers we enable sustainable energy, future of manufacturing and intelligent infrastructure. As digitalization gains speed, personalized services become the new normal and a key success factor for our customers - increasing the demand for data-driven innovations and new revenue streams. Tieto aims to capture the significant opportunities of the data-driven world - to become our customers' first choice for business renewal. Monitor ERP System is an international company with more than 40 years of experience, that provides a leading ERP system (MONITOR) for manufacturing companies. The system is developed in close cooperation with our customers. As a result, MONITOR is both user-friendly and cost-effective. Manuel studied automation as a student and started working in manufacturing industries from a very young age. His interest in technology led him to Koenigsegg 11 years ago and he has learned continually as he has progressed through the ranks. He started out as a technician in production and soon after, he became a team leader. 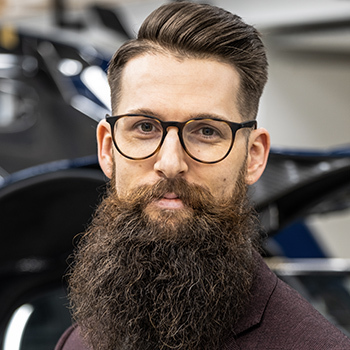 From there, he started to work with product quality and as a test driver, the goal being to ensure that their cars were of an appropriate standard before they deliver them to customers. Later, he received an opportunity to start working as Production Manager, which he did for 3 years. It was during this time that he pushed the company to take a better advantage of Monitor - the ERP system that they use. That mission continued when he moved to the Purchasing department, learning strategies for procurement and material flows within a manufacturing business. Koenigsegg has enjoyed steady growth over recent years and the organisation has changed a lot as a result of that growth. ERP is more important now than ever, and he has taken on the role as ERP Manager to educate staff and to further develop and integrate the ERP system within our business. Jonas has always had an interest in technology (a lot of racing in go-karts, boats and motor cycles), which made it natural during the years of education to graduate as an engineer. Through the years he has had a number of positions (Production, Research and Development Manager). When he started at Monitor 2004 it was as business consultant and during those years he was involved in a large number of implementations projects in different types of industries. Each project has always given him some new knowledge about how to run a company. Then he was involved in sales for a number of years, which meant that his contact the network increased tremendously, and he had many from that period. Today, as Director of Business Development Monitor Group he's mainly involved in the development of our foreign subsidiaries and partners, but also works with international coverage of our competitors. 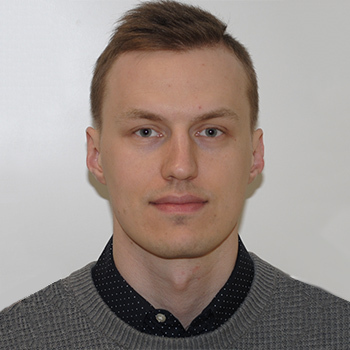 Johannes Mossov has MA degree in Product Manufacturing from Tallinn University of Technology, where he’s main direction has been automation and manufacturing. Johannes is CEO of company AuVe Tech OÜ which aim is to develop autonomous vehicles and offer fleet solutions. He is also company side project manager of Estonian first self-driving “last mile” bus Iseauto (iseauto.taltch.ee). In Silberauto, Johannes is leading the company’s development department, which mainly concentrated on special vehicles like “last mile” bus, police cars, concept cars and other transport vehicles. Mr. A. SHISHKIN, M.Sc.Eng in Nanomaterials and nanotechnology, (PhD student IV year). Completed Master Degree at Nano chemistry and nano technology at Faculty of Materials Science and Applied Chemistry, Nanomaterials and nanotechnology. Riga Technical University (RTU). Specialisation in chemistry and chemical engineering sciences since 1991. In ceramics and porous (syntactic foam, foam, composite) materials design. Research in residual products recycling by means of milling and grinding. Development of techniques for preparation of fine slurries and suspensions. Technologies for milling and classification of the material to be treated up to required granularity. Mixing of two or multicomponent mixtures. Design of laboratory scale equipment for granulation and compaction of powdered components. Organization of international scientific events: conferences and workshops. Successful research management at international level. Research projects currently in progress „Development of sustainable effective lightweight construction materials based on industrial waste and local resources” 2013 – 2016. 4 other research projects have been implemented in the last 5 years on new construction material design and sustainable development. Author of more than 30 publications in scientific journals 13 national patents, 1 European and 1 GB patent application. Member committee of 3 COST actions European Commission externa project reviewer. Václav Smítka, Ph.D. is a Programme Manager of AMIRES s. r. o. in the domain of Energy, Energy Efficiency and Additive Manufacturing. He graduated from the Czech Technical University in Prague, Faculty of Civil Engineering in 2009. At the same faculty he finished his Ph.D. in 2013. As an assistant professor at the Department of Special Geodesy at FCE, CTU in Prague, he took part in many research and development programmes and projects as a coordinator as well as a member of a research team. All these projects were mainly focused on the deformation measurement methods in the field of civil engineering. He is trained and practioning the smE-MPOWER methodology for business innovation coaching. Václav has a strong experience in preparation and management of R&D projects funded by the European Commission. Currently, he is a Project and Dissemination Manager of H2020 project SOLWATT (Solving Water Issues for CSP Plants), Dissemination Manager of H2020 project MANUELA (Additive Manufacturing Using Metal Pilot Line) and contributing to exploitation in H2020 project MOSAIC (Modular High Concentration Solar Configuration). He also supervises H2020 project WASCOP (Water Saving for Solar Concentrated Power). Tallink Spa & Conference Hotel is located in the harbour, just about 13-minutes walk from Terminal D, and near the city centre. The hotel was opened in March 2007 and it has one of the most unique interior designs of the hotels in Tallinn downtown. The hotel has a large just renovated Aqua Spa that is a true oasis in the middle of the city, combining relaxing water and sports activities with beauty and wellness services. Guests are welcome to dine in the à la carte Restaurant Nero that will be just renewed for the time of your stay, or have a light snack and drinks in a contemporary lobby bar. 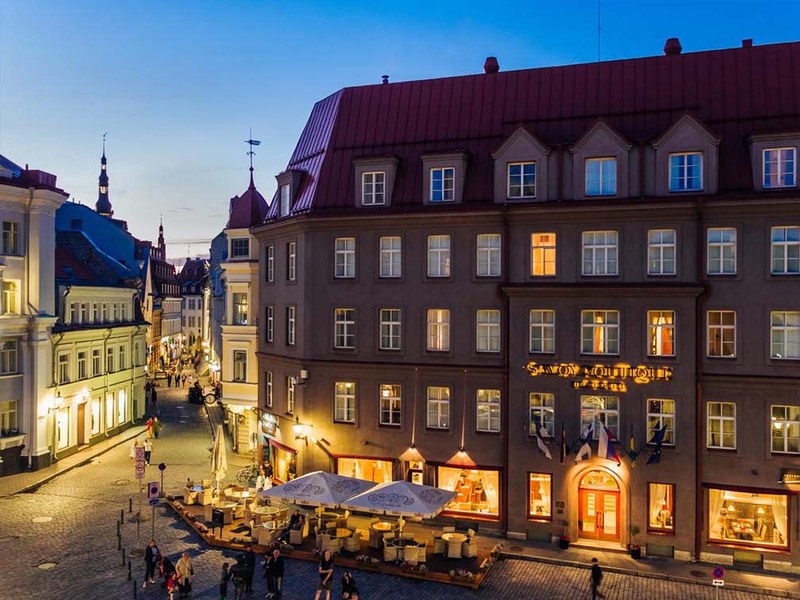 A special accommodation rate 114 eur/night applies for standard single/double room for the participants of Industry 4.0 in Practice 2019 conference in Tallinn during the period 28.-30.05.2019 with the IN2019 promotional code. Rooms and special rates are available until 17.05.2019 - we recommend to book the room early as hotels tend to be quite full at the time. Bookings can be made by e-mail hotelbooking@tallink.ee with promotional code IN2019. Should you have any questions, please contact by above email or by phone +372 6300808. TallinnHotels is an Estonian-owned accommodation company established in 2005 - three superbly located hotels in central Tallinn offer a superior guest experience that is uniquely Estonian hospitality. Room rates: For the conference participants the hotel offers -15% from the current day accommodation price for all three hotels. Discount price is valid during the period of 28.-30.05.2019 when booking the accommodation trough the special links below. Please note that the rooms are subject to availability - we recommend to book the room early as hotels tend to be quite full at the time. Savoy Boutique (Suur-Karja 17, Tallinn) is a small, exclusive and luxurious hotel that locates at the very heart of Tallinn. It is a superb place for people who travel for business as well as for pleasure. The capital city’s most noteworthy business, entertainment and shopping centres are in short walking distance. Bookings can be made here. Hotel Palace (Vabaduse väljak 3, Tallinn) is one of the most exciting, glamorous and spectacular buildings of its time - it has been a true calling card for Estonia throughout the decades. 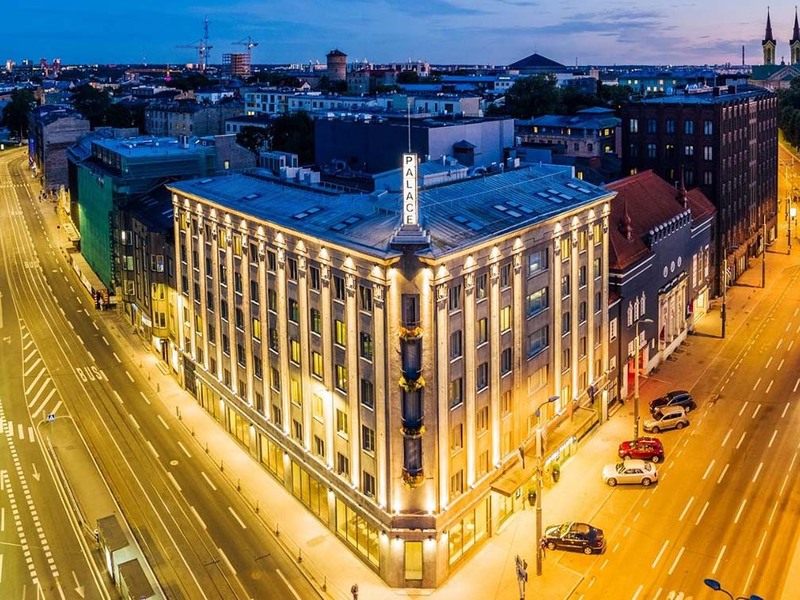 Tripadvisor Traveler’s Awards 2018 awarded Hotel Palace the winner of Top 10 Hotels in Estonia. 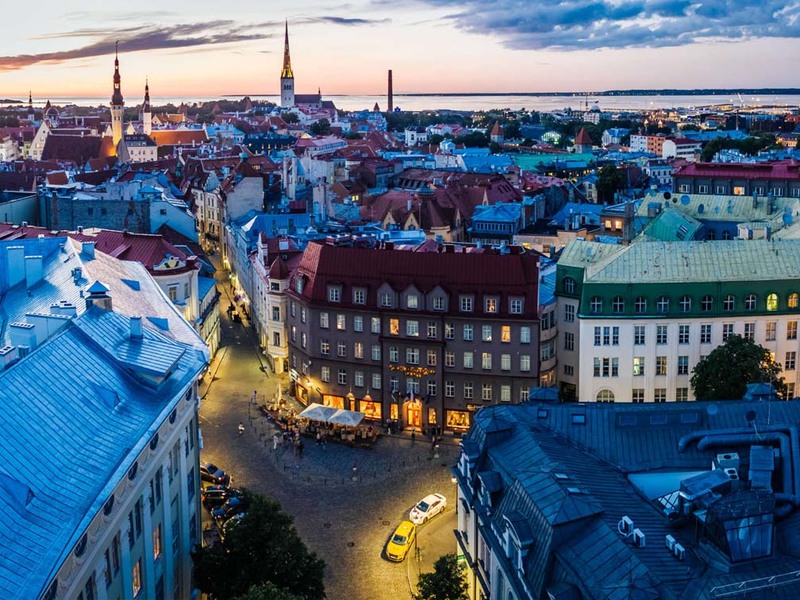 The Old Town of Tallinn, a modern business quarter, shopping centres and multifaceted cultural establishments are only a few minutes’ walk away. Bookings can be made here. 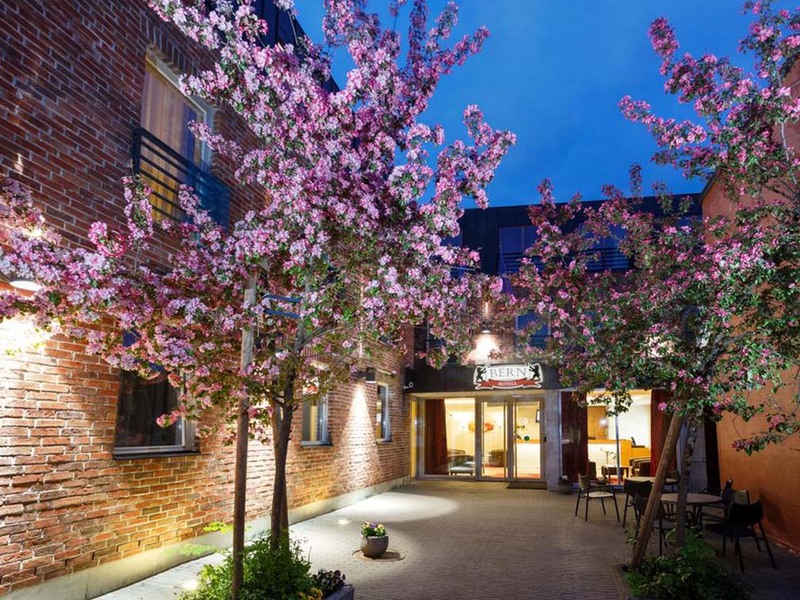 Economy Bern Hotel Tallinn (Aia 10, Tallinn) provides cosy atmosphere, modern accommodation, the best and personal service and is the most helpful host to make your visit a memorable experience. Thanks to the excellent location of the Hotel, you can find innumerable sights, restaurants, boutiques, parlours and shopping centres in the immediate vicinity of the hotel. Tallinn airport is barely a 20 minutes’ drive from the hotel, and you can reach the passenger port as well railway station in 10 minutes. Bookings can be made here. 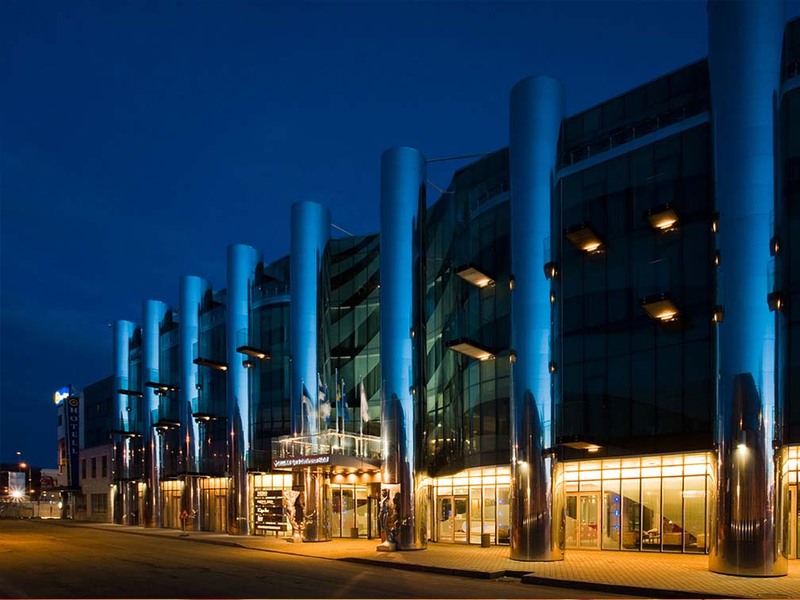 Radisson Blu Hotel Olümpia warmly welcomes you in the city heart of Tallinn, the capital of Estonia. Hotel palette of proven quality services and cosy hotel environs tailored to your satisfaction makes it the right choice be it for business or vacation. The hotel features 390 comfortably furnished and tastefully decorated hotel rooms with modern conveniences, such as high-speed WiFi and 24-hour room service. Hotel One Touch mobile application helps to make your stay even more comfortable and enjoyable. The fitness and health center Club 26 situated on the 26th floor offers the opportunity to take a refreshing swim in a pool, work out in a well-equipped gym or relax in a hot sauna while admiring magnificent and memorable views of Tallinn. You can enjoy a delicious lunch or dinner at the hotel international restaurant Senso, a lighter meal or fresh pastries and cakes at the best café in the city – Café Boulevard, or a refreshing drink at the Lobby Bar. 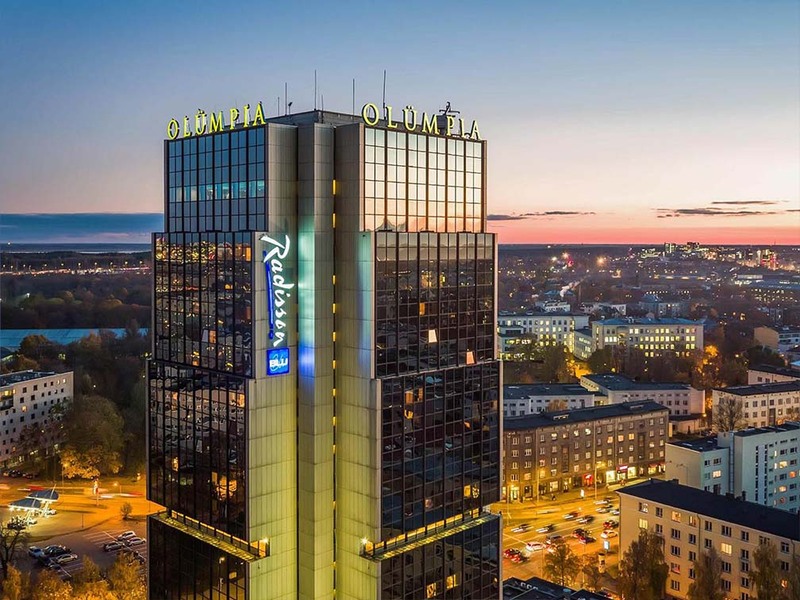 Radisson Blu Hotel Olümpia holds a Green-key certificate, the largest global eco-label for accommodation, and Tripadvisor Certificate of Excellence 2016 and 2017. The hotel has also been awarded the internationally recognized Safehotels certification. Hotel offers -15% from the current day accommodation price (Standard and Superior rooms) for the conference participants from 28.05.2019 to 30.05.2019. Special price is available by booking the accommodation with the promotional code IN2019. Please note that the rooms are subject to availability - we recommend to book the room early as hotels tend to be quite full at the time.